A friend of mine was nice enough to give me an old craft magazine from 1974-75. In it were a ton of patterns for items they said you could make to sell at Bazaars (Craft shows). One of the items was this tote bag crochetted in the shape of a little house. It was a fun project, but I can't imagine making a lot of these for a craft show. 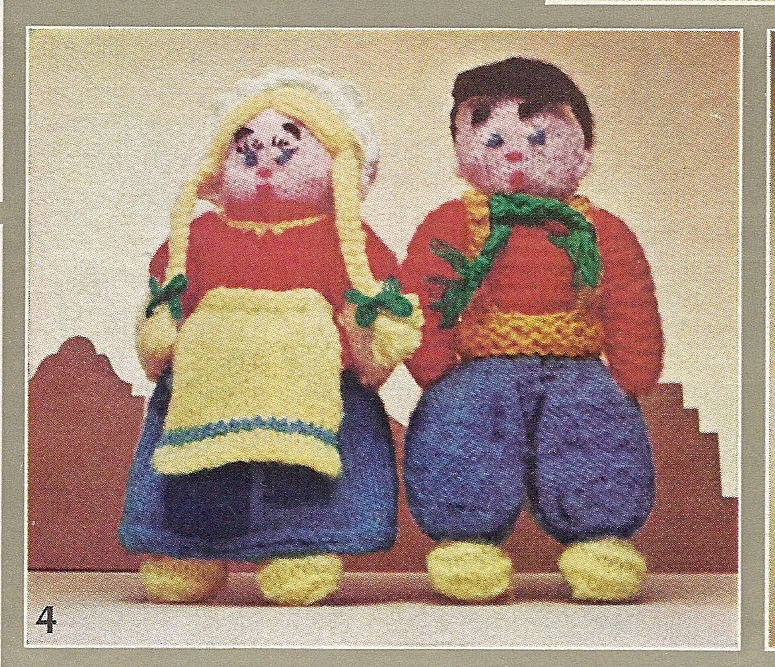 The other project from that magazine I would LOVE to make are these little Dutch girl and boy dolls. (Aren't they cute?!) Like I said, I'm not a great crochetter, so these might need to wait. 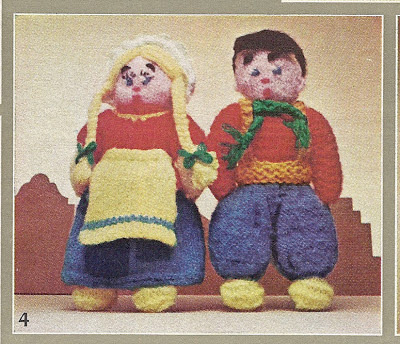 These patterns from an old craft magazine have inspired me to look through more old craft magazines and books for projects that are just as fun. Good ideas never go out of style. This is super cute! I am so impressed that you made something like this, as it seems so detailed to me. Love the grass that you added! And you're right, good ideas never go out of style. 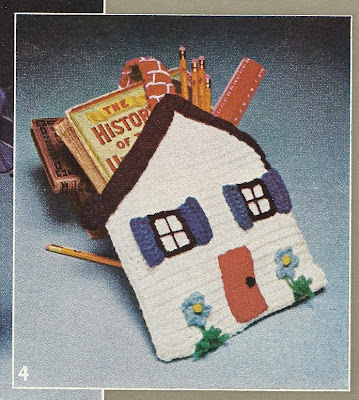 Wouldn't be surprised if today's designers comb through old craft magazines for ideas and ways to update the projects. Oh, I'm sure that's where a lot of craft ideas come from; just update the old ones. 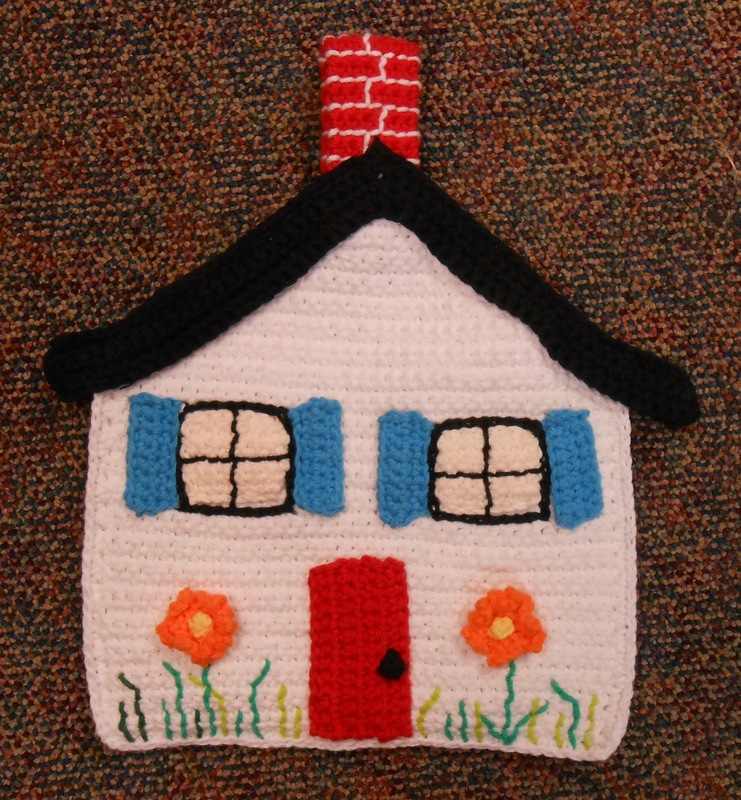 Just like fashion, even craft trends come around again.